“Elevated” by Ian Houghton and Steven Derks. 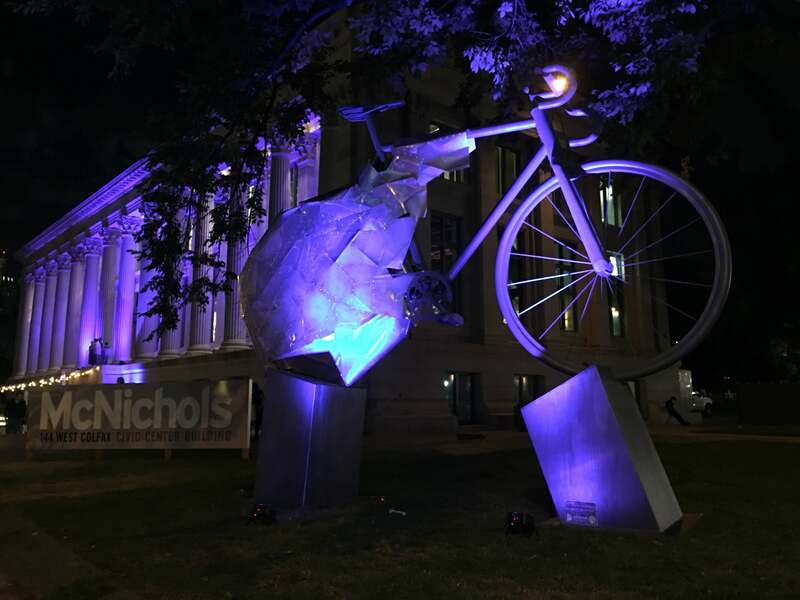 Denver Arts & Venues and the McNichols Civic Center Building present Ian Houghton's and Steven Derks' “Elevated,” a temporary outdoor art installation as the centerpiece of SPOKES, an exhibition celebrating Colorado’s cycling culture through art. SPOKES was curated and administered by Ivar Zeile of Plus Gallery and Denver Digerati, with funding support for “Elevated” provided by New Belgium Brewing Company, Visit Denver and Denver Arts Week. 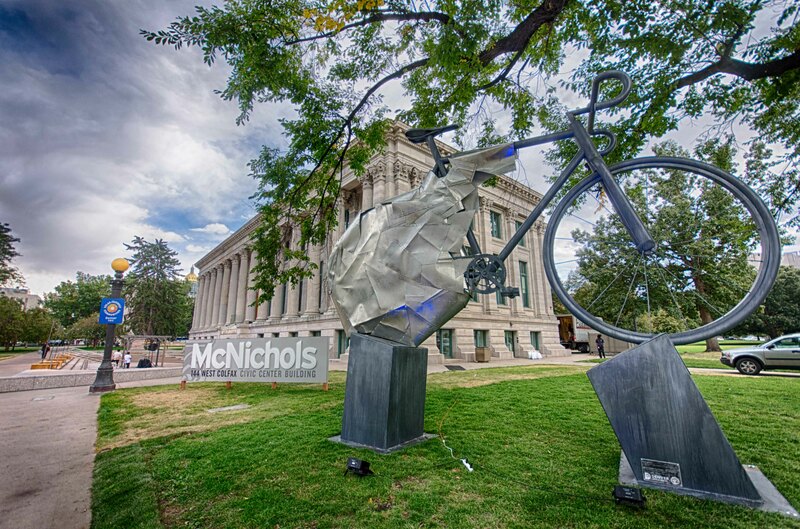 SPOKES is a tribute to Colorado’s cycling culture through art. 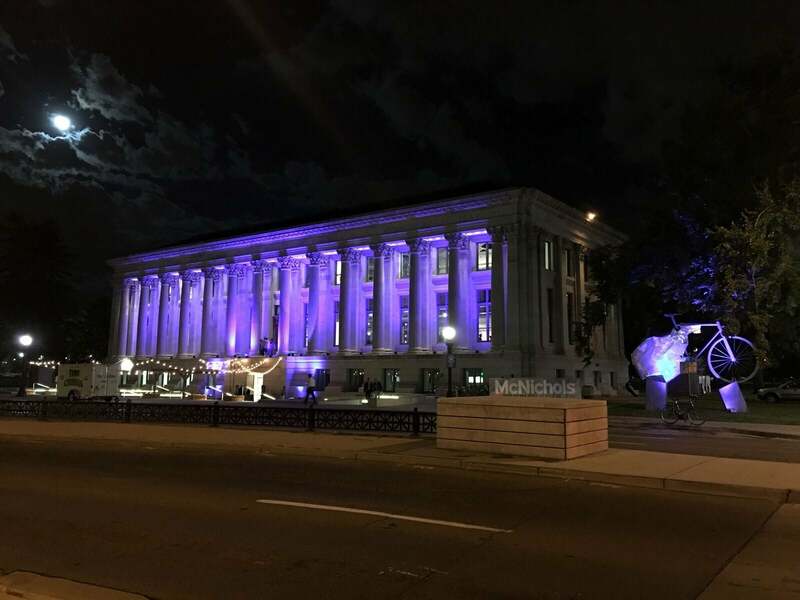 The multi-faceted exhibition takes place at the McNichols Building in Denver, Colorado’s Civic Center Park, organized to coincide with the building’s most recent renovations. SPOKES began with the idea to fund a significant, temporary outdoor art installation with a strong relationship to Colorado’s unique biking culture, through a call-for entries from Colorado-based artists and creatives. The call for entries resulted in approximately 20 submissions, with five finalists selected and provided with a stipend to elaborate on their composition. 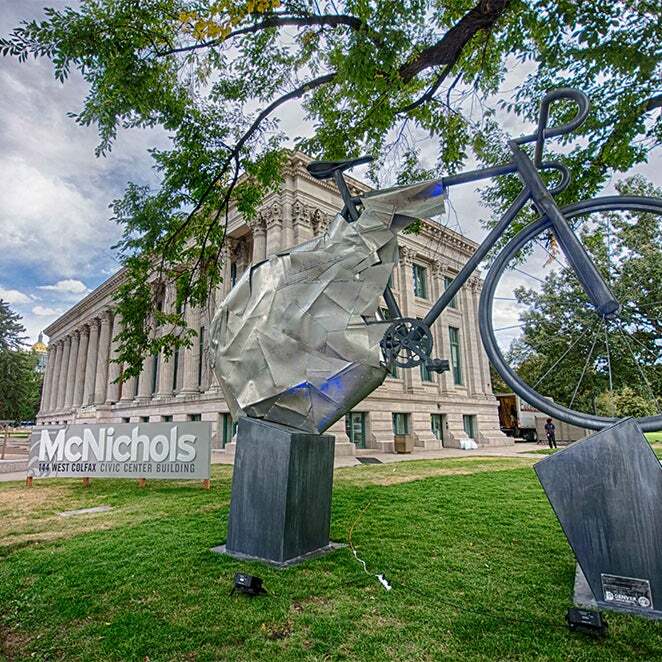 Of the five finalists, Ian Houghton and Steven Derks of White Rhino Customs were selected as the winning entry to be funded and realized for installation on the north-west corner of the McNichols Building courtyard. Their concept, titled “Elevated,” proposed a much larger-than-life rendition of a traditional bicycle fabricated in steel, with the rear half of the bike shrouded in aluminum plating, adding a sublime visual character to the overall aesthetics of the mighty bicycle. 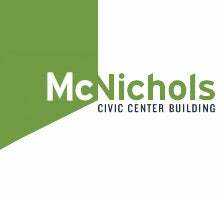 The artwork adds significant character to the McNichols site through scale and playfulness, and thematically honors the significant moment in the building’s renovation history, corresponding appropriately with the goals for the project. SPOKES was curated and administered by Ivar Zeile of Plus Gallery and Denver Digerati, with funding support for “Elevated” provided by New Belgium Brewing Company, Visit Denver and Denver Arts Week.